Visiting breweries in Virginia’s Shenandoah Valley just got easier. 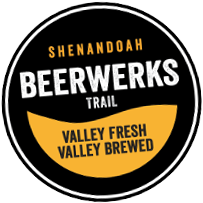 That’s because the area’s first official beer trail, the Shenandoah Beerwerks Trail, launches today, during American Craft Beer Week. The trail provides an opportunity for tourists and locals to connect with a great craft beer experience. With 12 breweries all located within an hour’s drive from one another, the Shenandoah Valley region is quickly becoming Virginia’s newest beer frontier. The Shenandoah Beerwerks Trail pairs the craft beer experience with a combination of activities and attractions that uniquely reflect the region’s recreational and cultural activities. The trail provides opportunities for past and future visitors to discover everything this region offers. On the trail’s newly unveiled website, visitors can quickly plot out a multibrewery tour and mix their tastings with the tourism experiences that best match their interests. In addition to a print and online ad campaign that launches in June, organizers say that signage will be installed at the breweries to cross-promote the trail, and promotional information will be distributed to Visitor Welcome Centers across the state. Tourism officials in the region have been studying the potential of the trail since 2014. The project was developed to promote the Valley’s growing craft beer industry and showcase the region’s natural tie-in with compatible tourism offerings. “We couldn’t be happier with this partnership,” says Wagner, speaking of the multiple-locality effort behind the trail. Tourism partners in the cities of Staunton, Harrisonburg, Lexington, and Waynesboro as well as the counties of Augusta and Rockbridge jointly developed the Shenandoah Beerwerks Trail. More details about the trail can be found at beerwerkstrail.com. Trail updates and news can be found on Facebook, Twitter, and Instagram.